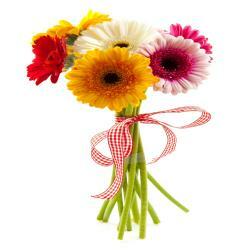 Bouquet of 25 Mix color Gerberas. 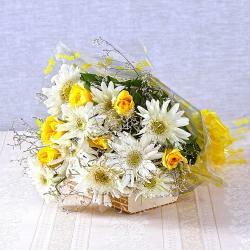 To make a special occasion memorable, Gift this beautiful bouquet gift with fresh flowers with unique arrangement. Directly handpicked from the farm and designed by our own floral professionals and deliver with care. 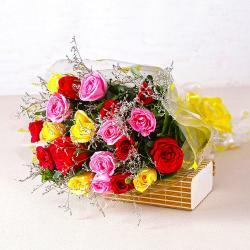 This bouquet is sure impressed your dear one and delights them on special occasion like birthday, anniversary, missing you, wedding, valentines day, mothers day, rakshabandhan return gift, to congratulate, Diwali gift, Holi gift, Christmas and many more. 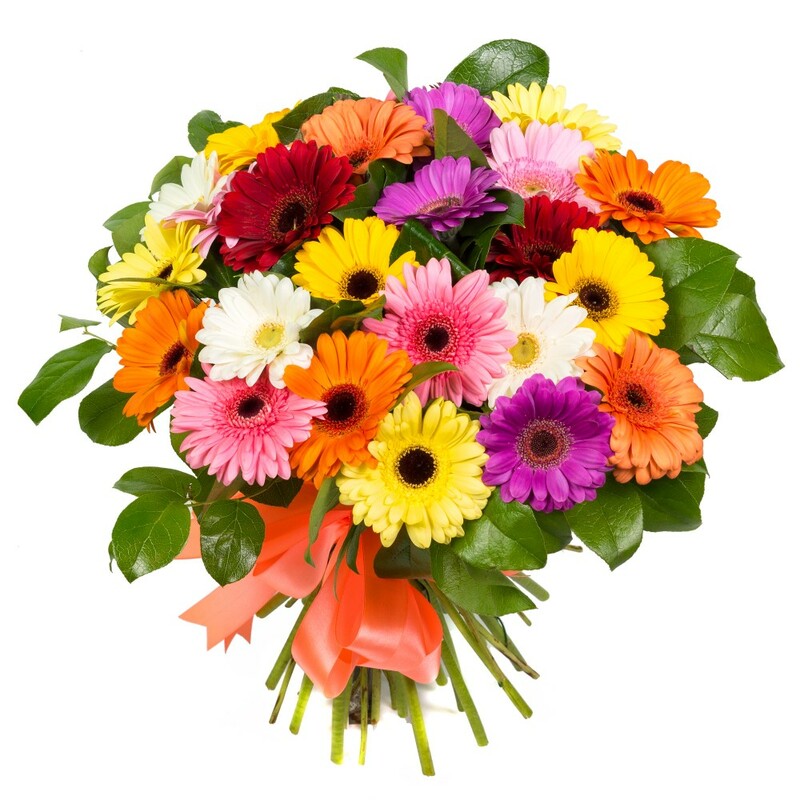 Giftacrossindia.com brings you this colored gerberas bouquet at very best price, so place your order at giftacrossindia.com and get same day gets delivery, fix time delivery and midnight delivery at very nominal cost. 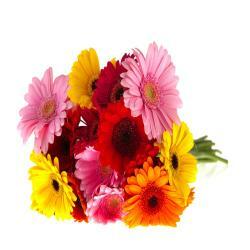 Product Details : Bouquet of 25 Mix color Gerberas.